The Catalan is a reliable opening for White, but there are ways for Black to shake White out of his complacency while still maintaining a sound and solid position himself. 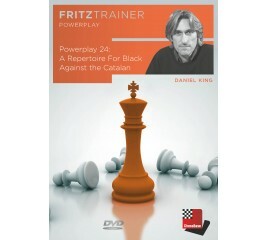 On this DVD Grandmaster Daniel King offers you a repertoire for Black against the Catalan, based around maintaining the rock of a pawn on d5. 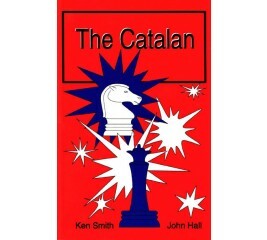 In the Catalan opening, White adopts a combination of the Queen’s Gambit and Reti Opening. White plays d4 and c4 and fianchettos the white bishop on g2. A common opening sequence is 1.d4 Nf6 2.c4 e6 3.g3. 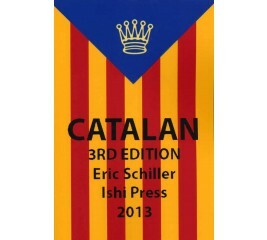 The Catalan derives its name from Catalonia—a nation inside of Spain. 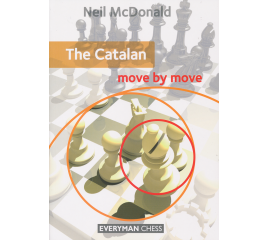 Used by Kramnik three times in the World Chess Championship in 2006, the Catalan has recently gained a good deal of attention by high-level GMs. 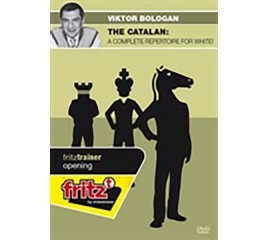 It was also played four times by Anand in the World Chess Championship in 2010 against Topalov, Vigorito explains that game and others in this DVD. 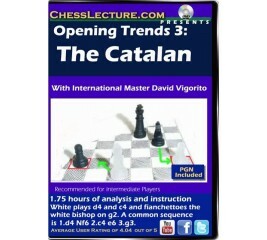 The Catalan is a sophisticated and wide-ranging opening system which is popular at all levels of chess. In recent years it has been catapulted into the limelight by Vladimir Kramnik, who has revitalized it with many new ideas and has utilized it with great success against the world's strongest players - on occasion making it look like a forced win for White! 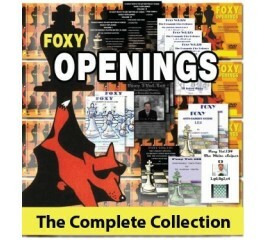 Every chess player loves to win early in the game with a deadly combination or a cunning trap. On the other hand, nobody wants to be tricked by his opponent before the game has really started. 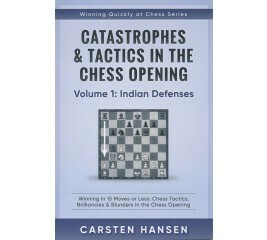 The popular series Tactics in the Chess Opening teaches how to recognize opportunities to attack early in the game. You will also learn how to avoid standard pitfalls in the opening. 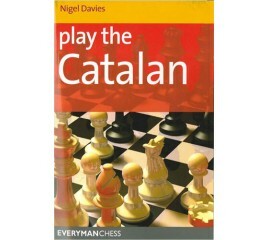 The Catalan Opening is currently in the repertoire of most all of the world's elite players. It has even been played at the World Championship level many times! This is largely because it combines strategic pressure with possibilities for a very sharp, complicated tactical struggle. This is perfect for those who insist on decisive chess. However, there are also some quieter, more solid lines. The Catalan combines the Queen's Gambit pawn duo(d4 and c4) with the hypermodern fianchettoed KB as with 1.d4 d5 2.c4 e6 3.g3 or 1.d4 Nf6 2.c4 e6 3.g3. From g2, the KB strikes through the center squares e4 and d5 and beyond to c6, b7, and a8, applying pressure to Black's Queenside. 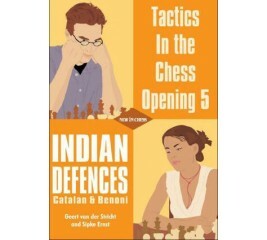 Another important advantage of the Catalan is that it can be used to side step popular Black defenses such as the Nimzo-Indian and Queen's-Indian. It can also be reached by transpositions from many different move orders. This is very good against strong opposition! 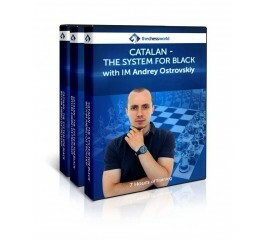 The current DVD covers all of Black’s replies to the Catalan, some of which can even transpose to other openings such as the Tarrasch System and the Queen’s Indian. Part of Grandmaster Roman Dzindzichashvilis new Roman and Rybka Perfecting the Opening Series. 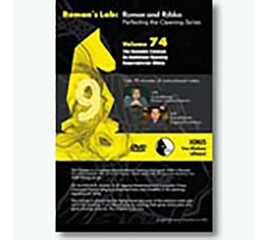 On this DVD Grandmaster Roman, Grandmaster Eugene Perslystein, and computer chess champion program Rybka, bring you improved lines and novelties in this opening repertoire for White. The Catalan Opening is a very sharp sophisticated positional opening that gives white a Reverse Grunfeld Position with an extra tempo. The Catalan can be considered to be White adopting a combination of the Queen's Gambit and Rti Opening: White plays d4 and c4 and fianchettoes the white bishop on g2.